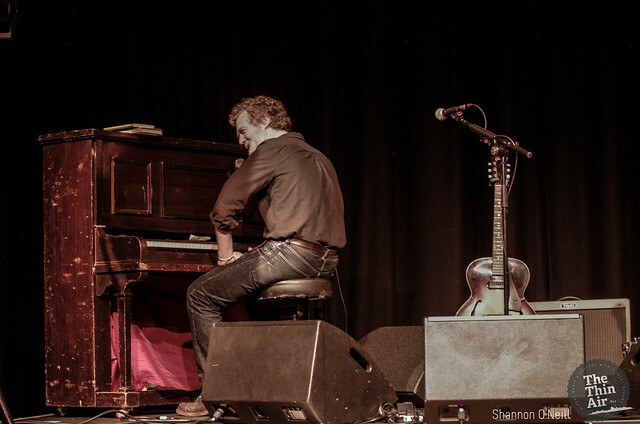 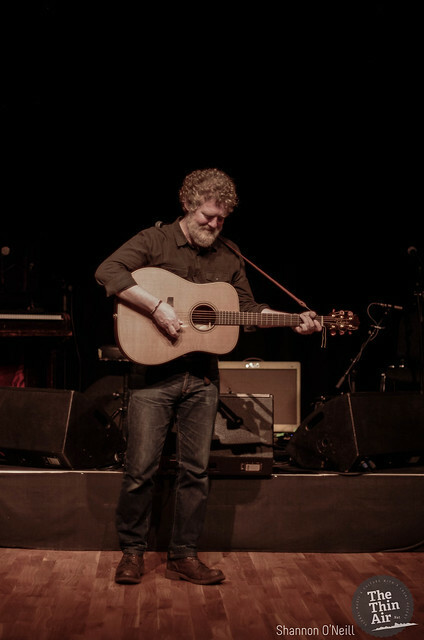 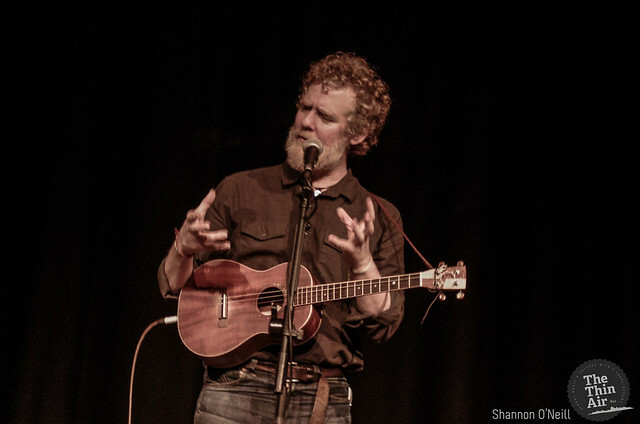 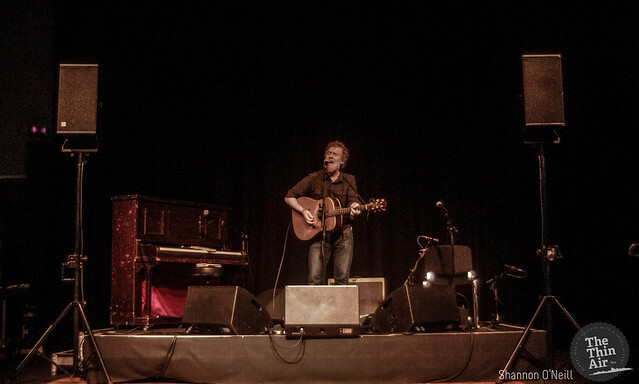 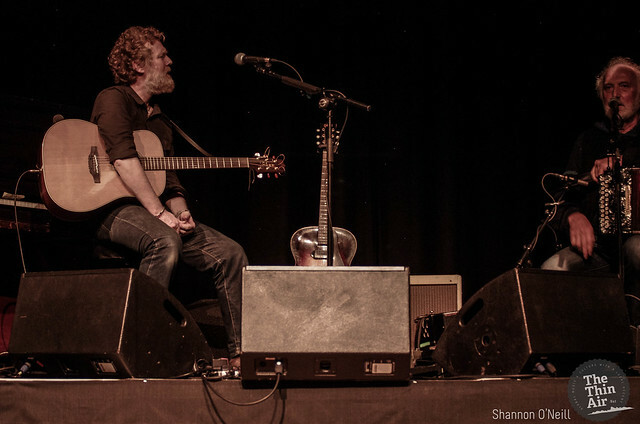 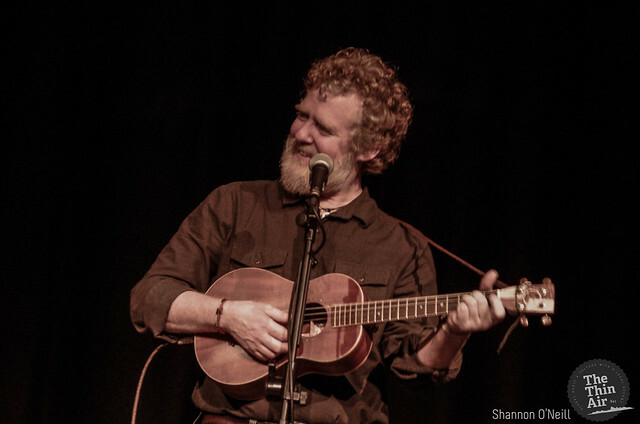 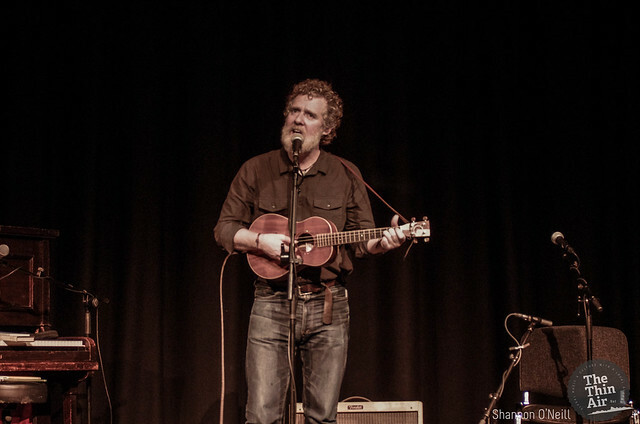 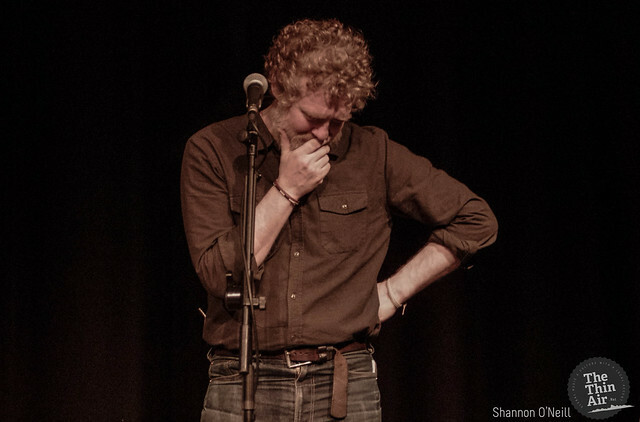 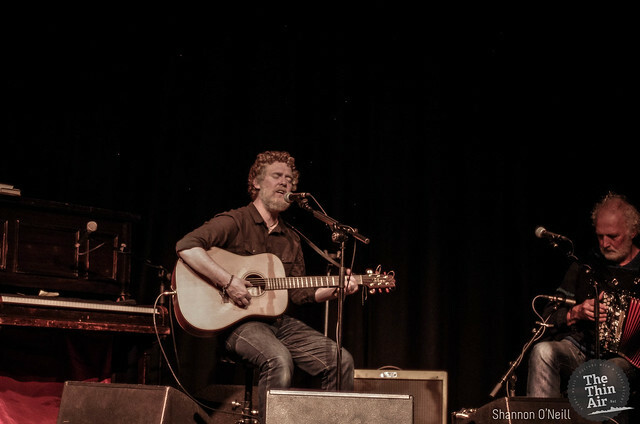 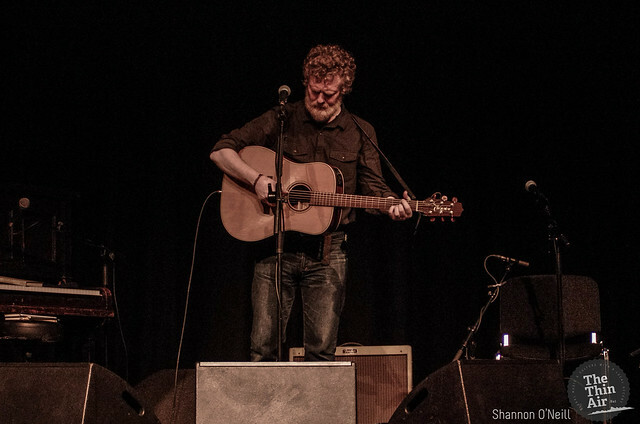 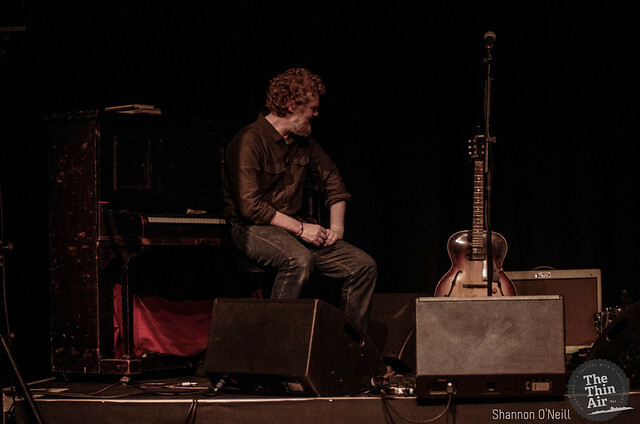 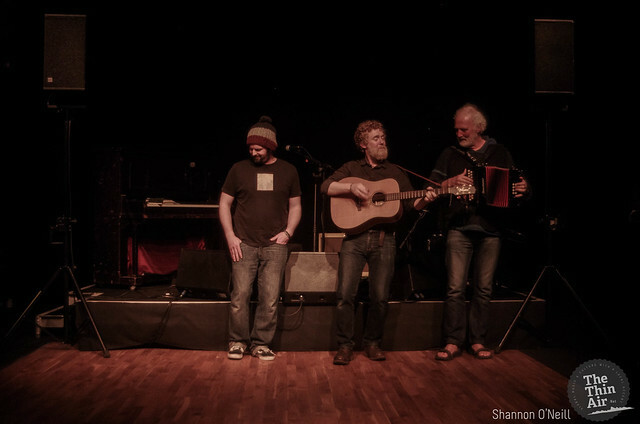 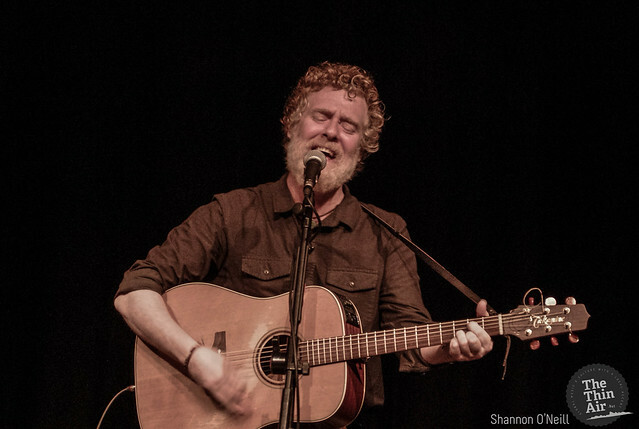 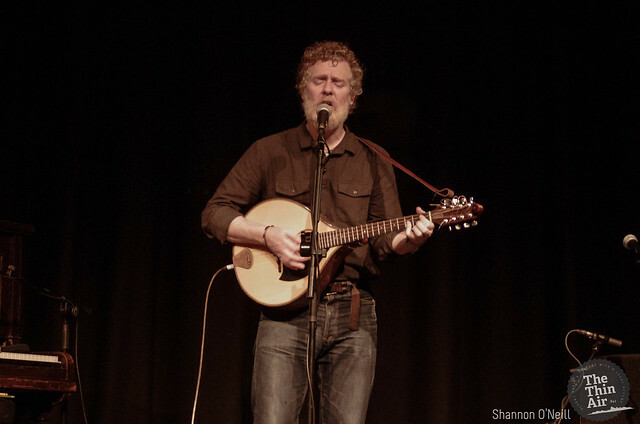 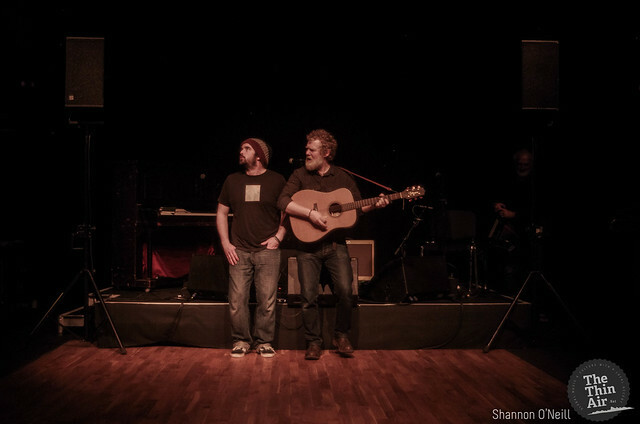 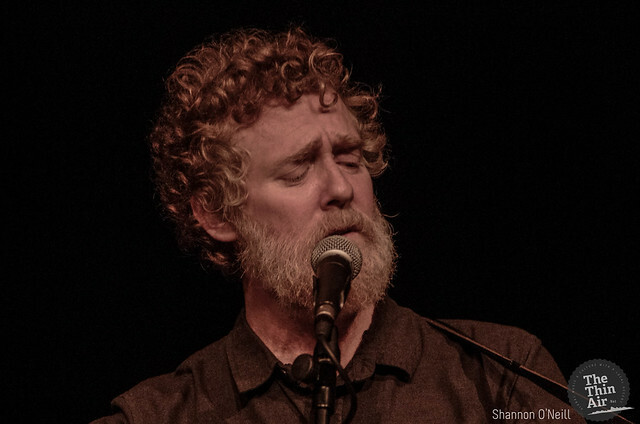 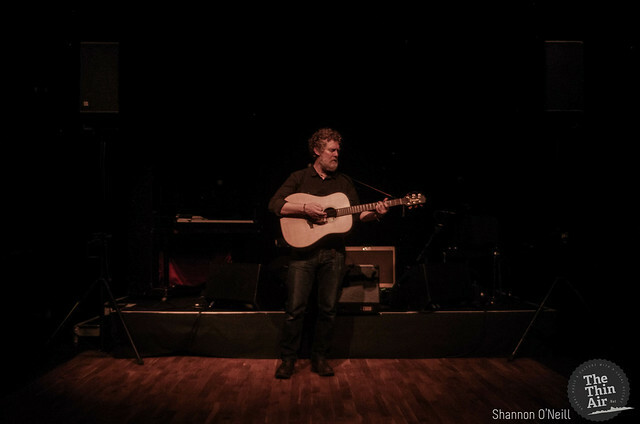 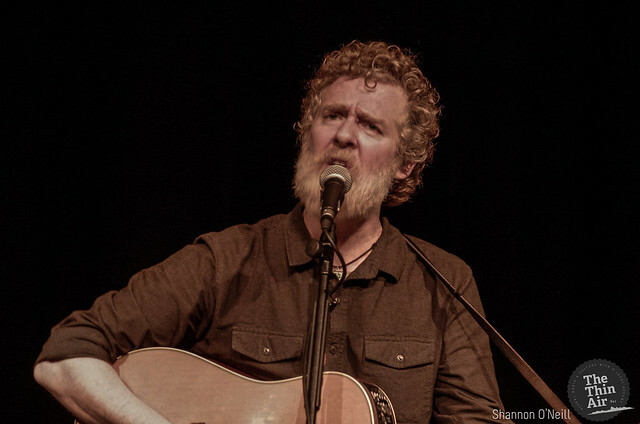 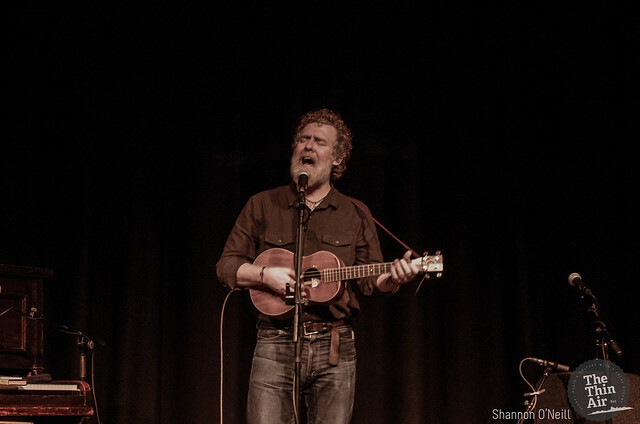 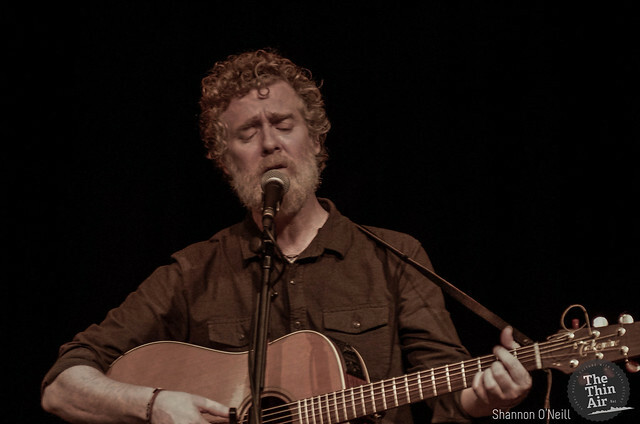 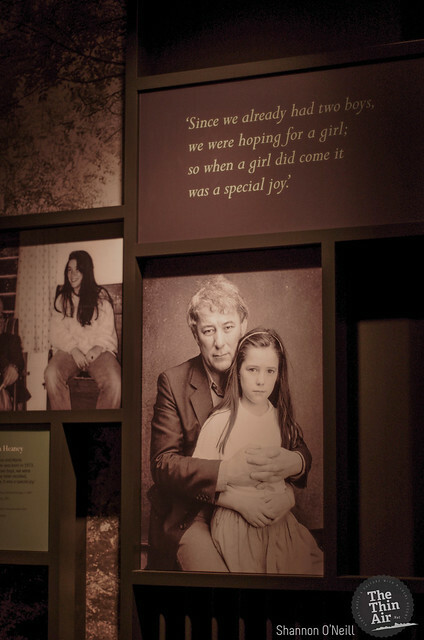 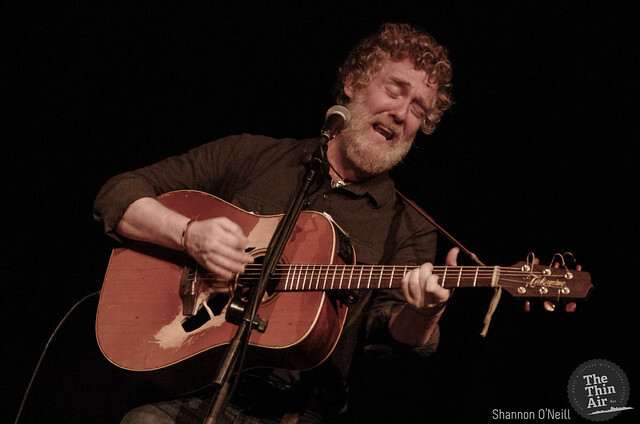 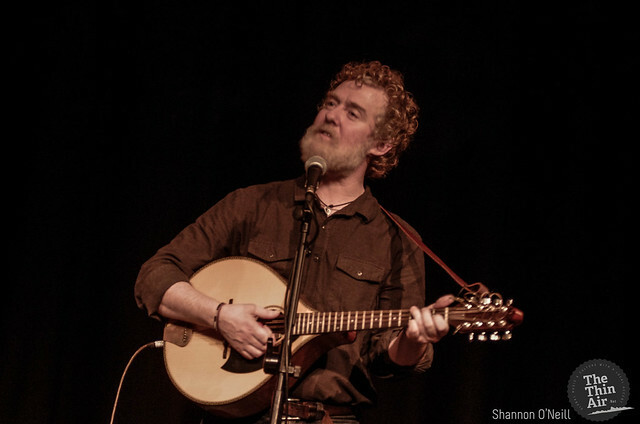 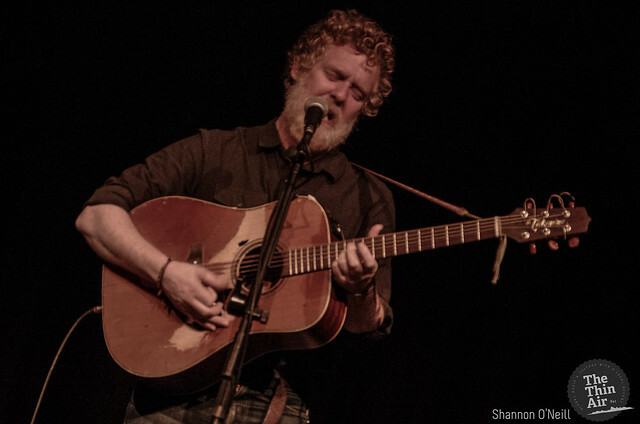 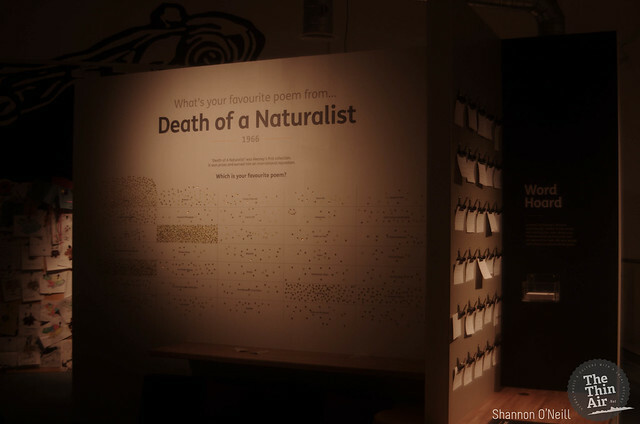 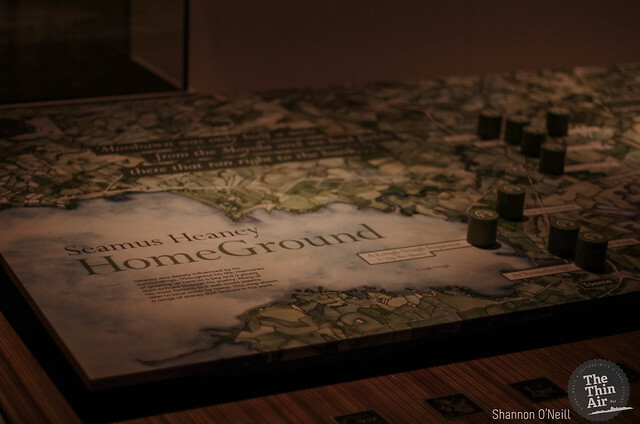 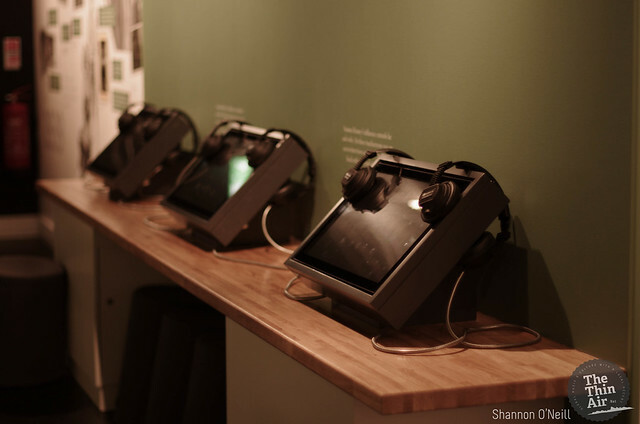 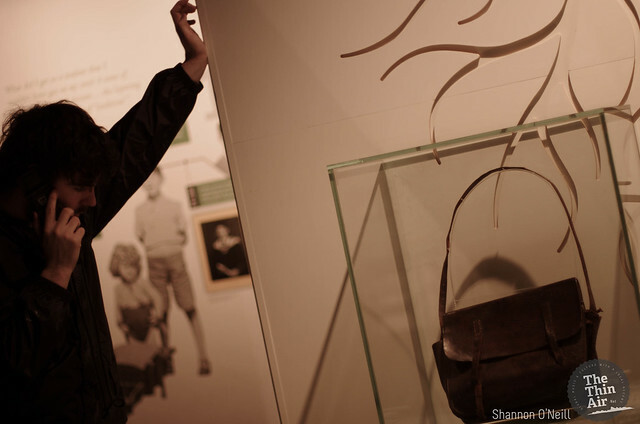 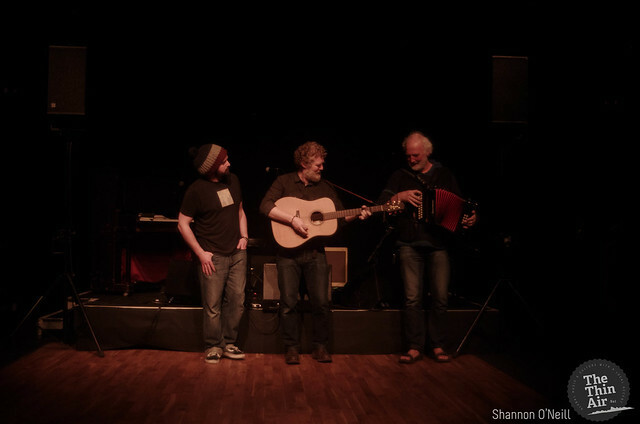 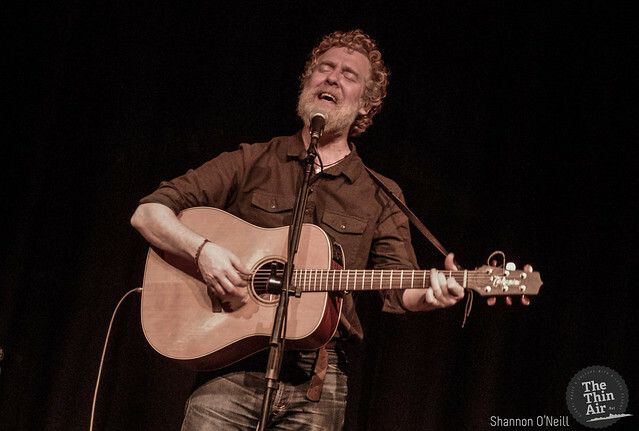 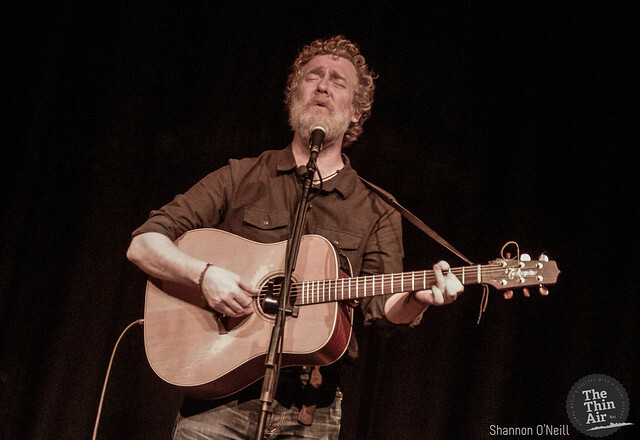 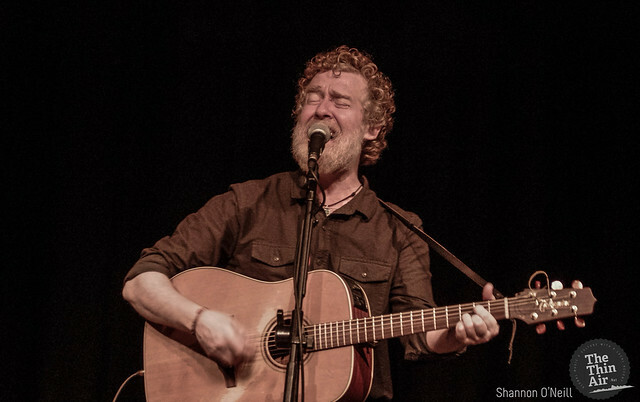 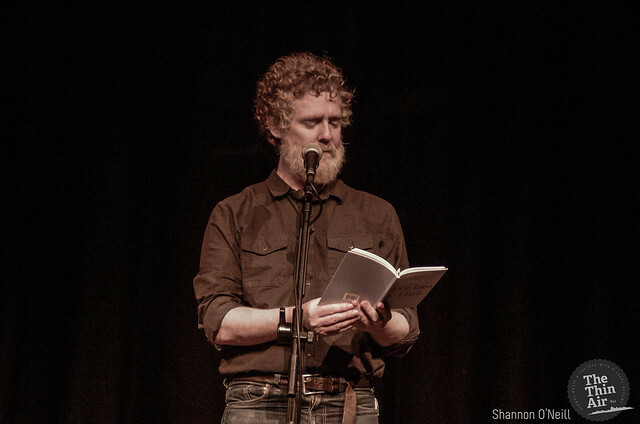 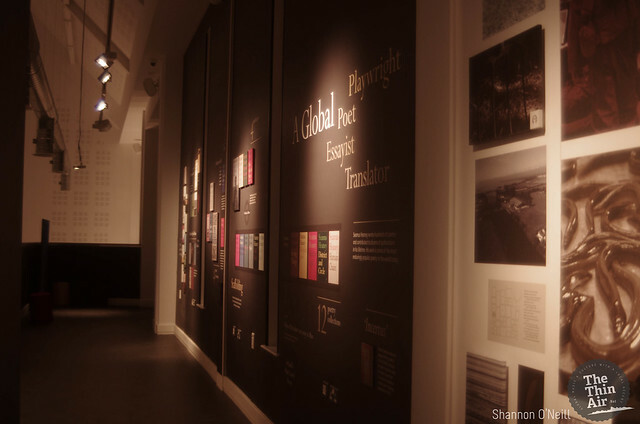 Having spent the last while in the eye of the Apollo House maelstrom and the ensuing bureaucracy that continues to surround it, the unassuming presence of Glen Hansard in Seamus Heaney HomePlace this evening is – before he even plays a note – testament to the character of a man and artist who doesn’t perceive a hierarchy between musician and listener; celebrity and fan; government and citizen. 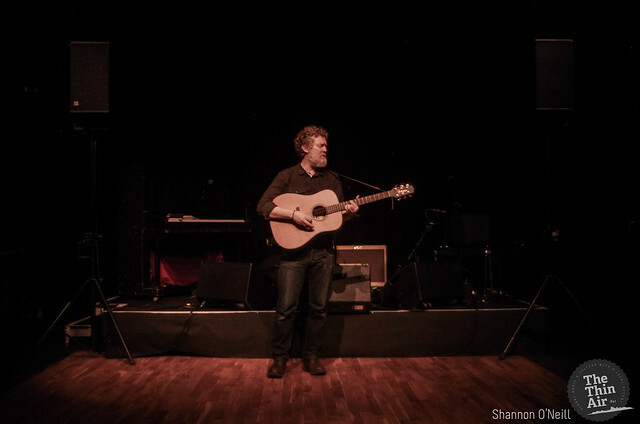 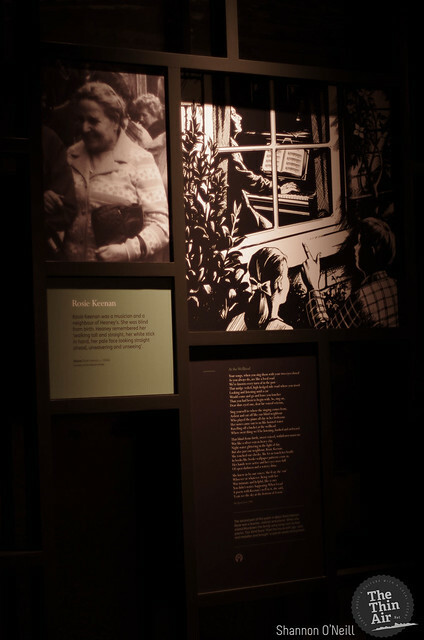 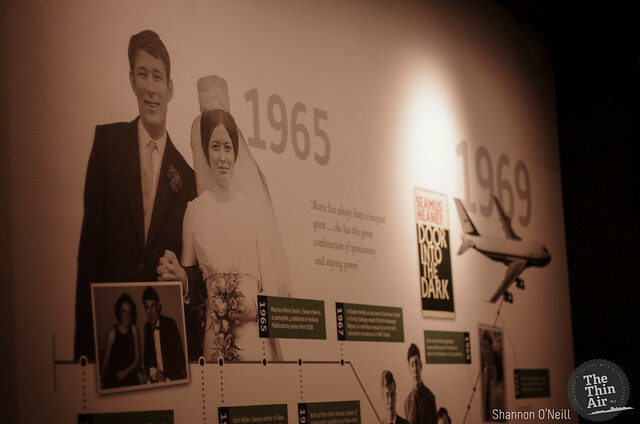 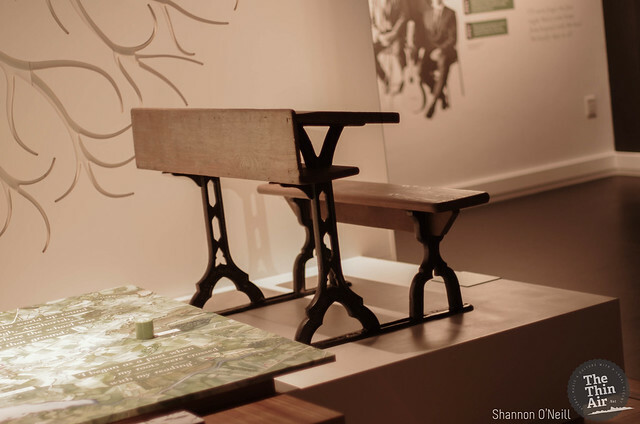 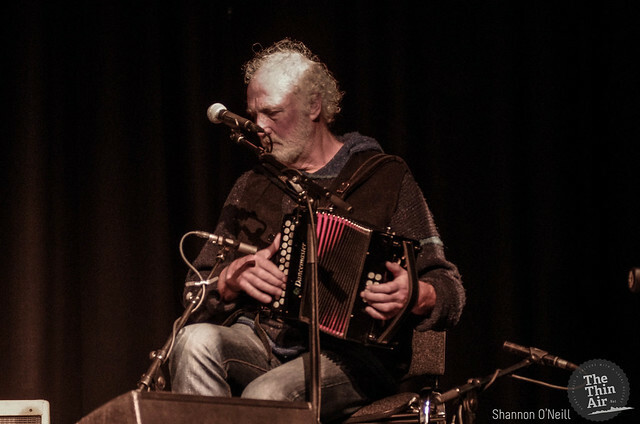 In much the same way one of his most potent influences in Heaney never entertained the notion of bowing to the whims of acclaim or sudden notoriety, Hansard’s decision to grace the small village of Bellaghy in Co. Derry for this intimate one-off show feels – whilst certainly exclusive – perfectly congruent. 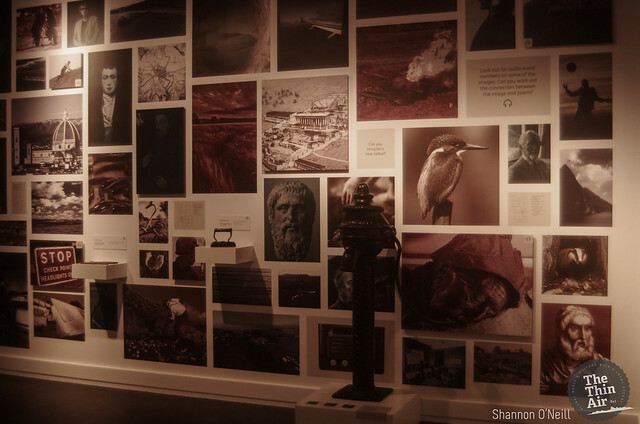 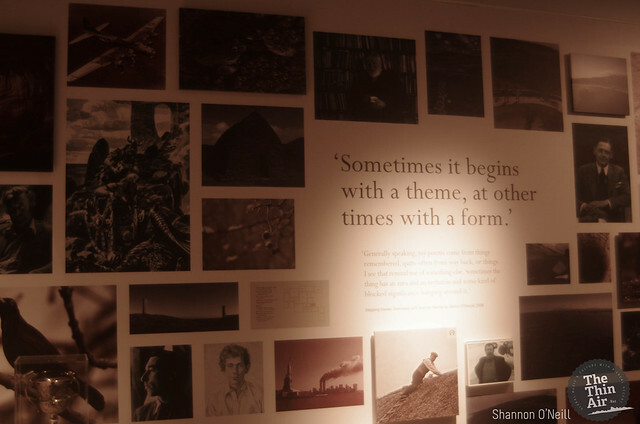 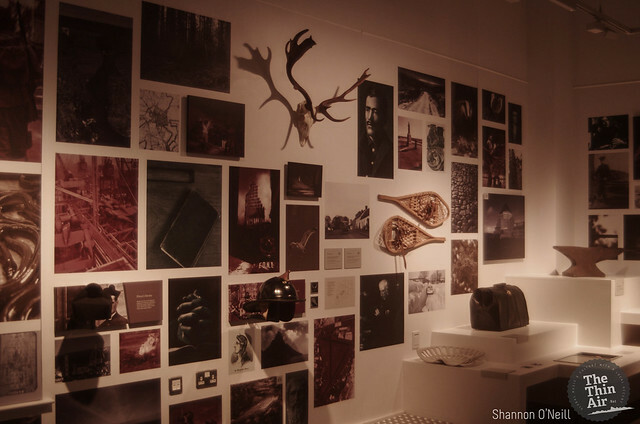 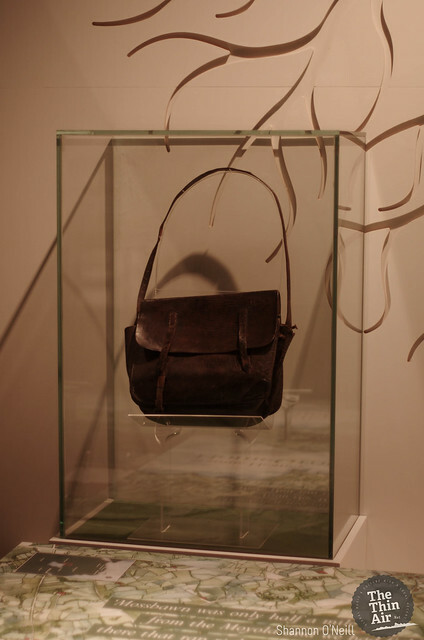 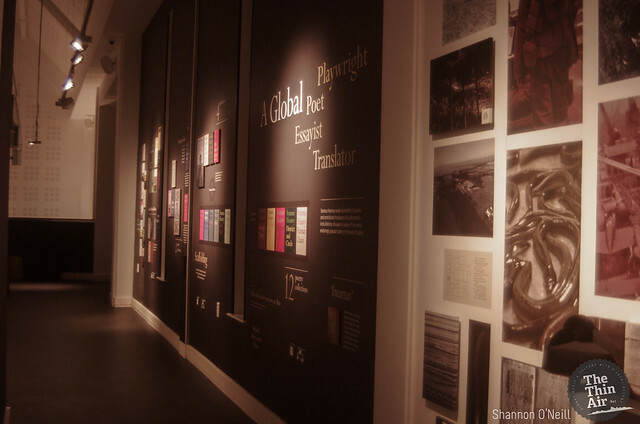 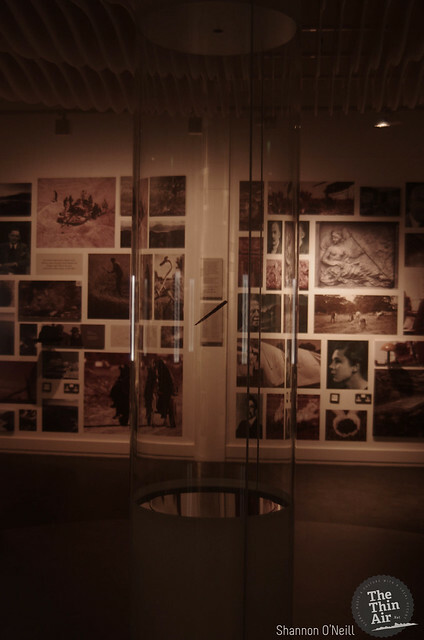 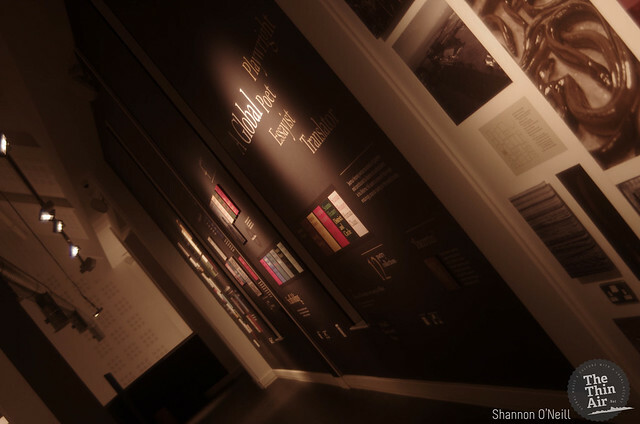 Located just across the hall from the latter part of a wonderfully engrossing, intensely evocative exhibition documenting Heaney’s life, work and legacy (unquestionably one of the most inspiring literary exhibitions this writer has ever spent time in) tonight’s 180 capacity venue, The Helicon, is – in the best possible sense – a far cry from the kind of room Hansard has been commanding for two decades now. 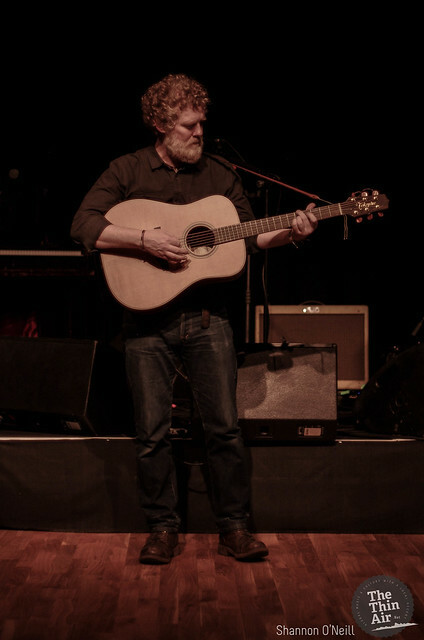 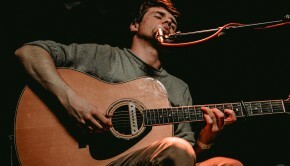 Easing into his set tonight by mentioning how he cherished the thought of traveling for a few hours, getting out of Dublin for a while and having the honor of playing the homeplace of a personal literary hero, Hansard says – with every ounce of sincerity in his voice – how nothing would have prevented him from playing the show. 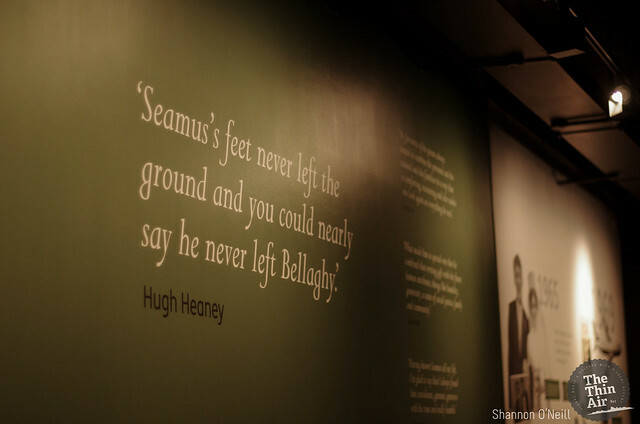 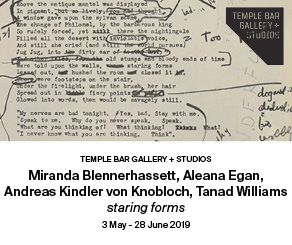 With joint Hansard and Heaney aficionados (as well as a couple of the Heaney clan) eagerly watching on, his brief preamble had no chance of being misunderstood. 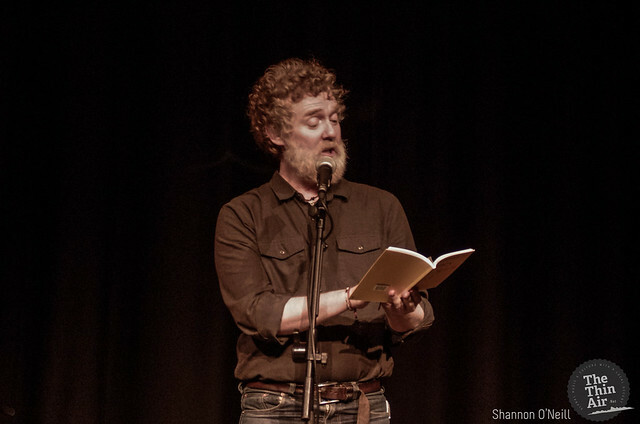 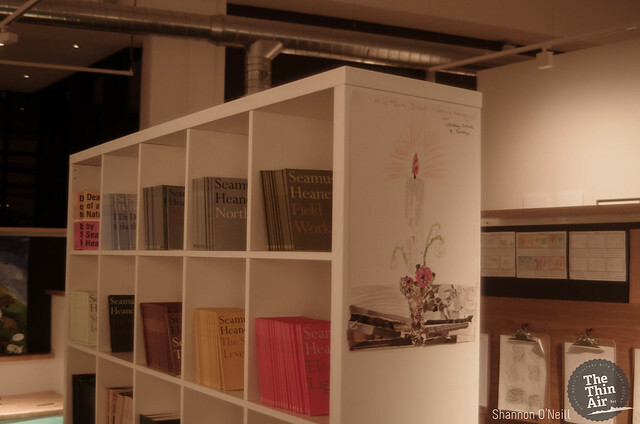 Broken up with some choice readings of Heaney’s poetry including ‘Requiem For the Croppies’ and ‘St. 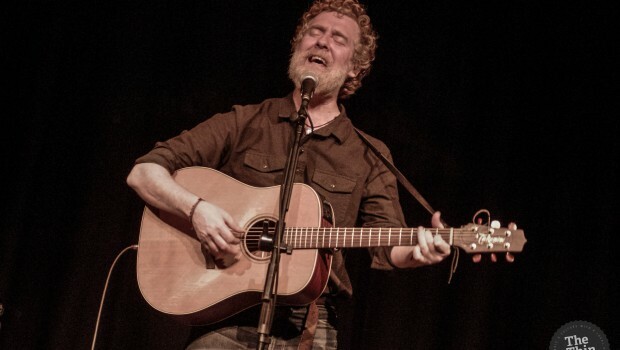 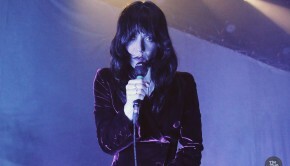 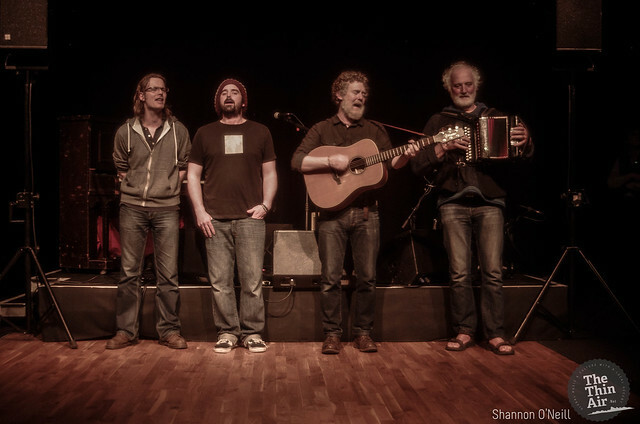 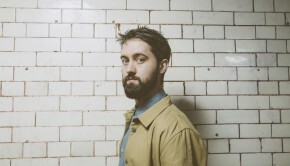 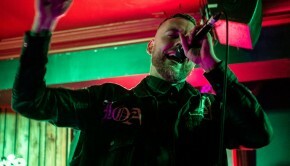 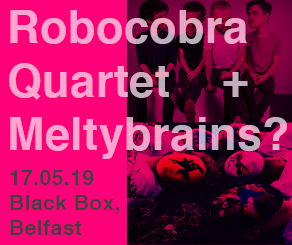 Kevin and the Blackbird’, Hansard’s two-hour set tonight is a masterclass marrying tribute, tale-telling, collaboration and self-penned song in a world of both familiar terrain and unchartered sounds. 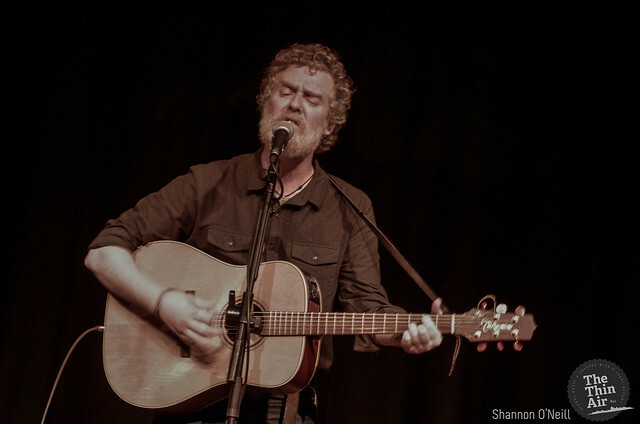 From his cover of Woody Guthrie’s ‘Vigilante Man’ (a song appended with a couple of closing lines on the corrupt Trump family lineage), the wholehearted ‘Bird of Sorrow’ and ‘McCormack’s Wall’ (a highlight tonight that Hansard says was written the day after a night on the tiles with Cavan’s Lisa O’Neill, in that glorious twilight of salvation that immediately follows the death of a hangover), Hansard imparts a real sense of the borderline mystic and – especially in its meditative symbolism and quiet onus on everyday epiphanies – decidedly Heaneyesque tone and sway of his best work.